A revolution of a different sort is at hand in the Philippines and it has the potential to effect the truly profound sort of change that is long overdue. The recent successful clean-up of Boracay and Manila Bay has created a new collective consciousness in the Filipino — one that has eluded an entire people for centuries. It is a spirit of deep volunteerism around doing the right thing in the smallest ways. Indeed, it is profound change in the way small grassroot-level stuff is done that serve as solid foundation to reform the big things. As I write this, news about a similar volunteer effort to clean-up the beachfront and riverbanks of Tacloban City is breaking. The results are nothing short of a small achievement (a size certain camps in the Opposition like to point out about these initiatives) that has created a well of pride that can potentially fuel a lifetime of civic initiative. “Time and again, it’s been proven that when people come together, we make things happen,” said Apple Alagon, a businesswoman and a Rotarian. “Educate the public. No matter how many cleanups we do, if we don’t take responsibility in disposing of our garbage, this will always be a problem,” said Alagon, who is the president of Rotary Club of Ormoc Bay. This is the bigger challenge and the big point missed by elements of the Opposition who are quick to dismiss these “clean-up” initiatives as “too easy” and too “short-term” to be of consequence but then neglect to take the higher road and propose that we look further out to build upon those initiatives by incorporating them into longer-term strategic goals. To do that, of course, requires having a vision — something the Opposition have long proven to be severely lacking as evident in the impoverished campaign platforms they apply to this year’s elections. In the absence of that vision, the Opposition are only able to nitpick on and tear down whatever achievements of the Duterte government are chalked up and, where shortfalls and flaws are rightly observed, fail miserably in proposing alternative pathways. Credit it to the immense political capital Duterte wields when even just a whiff of his equity graces an initiative or to what is more likely: a sudden alignment of the planets that drew upon a sudden and unexplained surge in a sense of civic duty amongst thousands who’ve volunteered to do their part in these clean-ups. Whatever the case may be, there is an opportunity right there to capitalise upon — to, perhaps, see these small instances of public initiative snowball into, say, a cultural revolution the likes of which to date is unprecedented. Contrary to what the naysayers are shrieking about, many Filipinos now seem to recognise that these clean-ups and other such initiatives are not ends in themselves but, rather, first steps. Already, Netizens are calling on ordinary folks to “whip out” their smartphones and catch people in the act of littering in these newly-cleaned public spaces. Perhaps this volunteerism in such unprecedented scales have imbued a greater appreciation of the notion that the public own public spaces and, as such, need to contribute their end of the deal in the upkeep of these spaces. The job is, by no means, over — all this, as mentioned earlier, being just first steps. Manila Bay, for one, represents end-of-the-road for much of the rubbish Filipinos deposit willy-nilly in various capacities upstream. There remains an entire waste disposal pipeline starting at every Filipino’s household that still needs to be cleaned. The big challenge is that such a clean-up may not be as visible nor as fit for public relation agendas as the recent Great Manila Bay Clean-up spectacle. 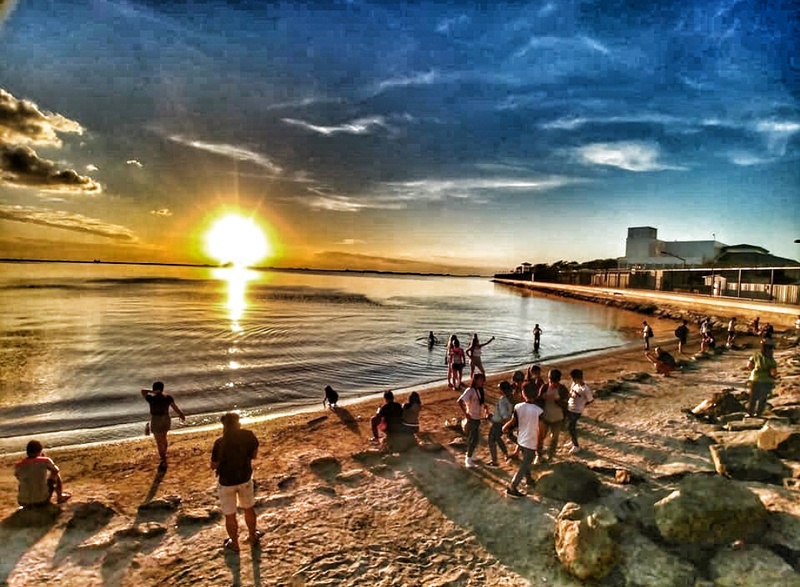 But to keep Manila Bay clean — and clean on the inside as well — requires that same volunteerism be seen not just in public but in the privacy of one’s own homes and over one’s routine day-to-day way of life. What the Duterte government could do — and the real influencers and activists (without the quotes) among us could support — is to channel enough energy into the right advocacies, advocacies that deliver real results and not just the quaint validation fixes that one or the other snowflake private school millennial or old-fart commie subsist on. Most of these advocacies involve mundane tasks that don’t fit the virtue-signalling agendas of the noisy inbabitants of those hen houses where inbred ideas of obsolete “activists” breed. In that sense, it’s high time Filipinos grow up and embrace quiet achievement of the sort that delivers sustainable personal achievement and graceful pride in being a member of the Filipino nation. Previous Article Rappler and Opposition “bloggers” lead the way in MISINFORMING the Filipino people! Well .. I’ll be cautiously optimistic. As mentioned, the key is not to clean up but to stop Pinoys dumping trash everywhere in the first place. You’d probably have to hold a gun to their heads to make that happen. I’m hoping bighec isn’t right, but I fear he probably is. Well, the point is more around how critics of this initiative, specially Opposition politicians who should be exhibiting a longer view with regard to these things, are failing to build upon opportunities (improbable as it may be that any fruits could be harvested off them). But, yeah, I understand where you and bighec are coming from. Me, of all people. There’s no doubt that many Filipinos would get on board with this if they thought there would be ongoing support. But they’ve been disappointed so many times in the past. The Sanitation problem is caused by these Squatters. They don’t have any toilets, waste disposal system, and any sanitation equipment , to make their surroundings clean. The law that was enacted by Cory Aquino, whereby, anybody has the right to squat on any property is ridiculous. We should remove that law…it is self defeating. We must resettle all Squatters to better places. Decongest Metro Manila, and implement birth control…the poor are multiplying like rabbits, with the blessings of the Roman Catholic Church Liberation theologians, and other religions…. We hope that the clean ups and the “Bayanihan Spirit” of Filipinos, will spread in the “Collective Unconsciousness” in all of us ! I guess the next step is improving public education(school) so the public can be educated. Oh yeah the problem is tax is not enough revenue to fund public school, the money goes to private school owned by the church that don’t pay taxes. I’m sorry but there’s no revolution(real change) if the system don’t change. It’s not those cameras that make people do its part. Before the invention of the camera, countless people would willingly die for a cause, for a leader for a country. It’s the inspiration they draw from a good cause or a leader that people they’re willing to sacrifice. Without a caring leader like Duterte, people would be less caring too- just like some dissatisfied vandals destroying everything on full view of everyone or intentionally under the watchful lens of the cameras! Clean-up drives as the next EDSA ppl pwr rev! Yes please, make my day! To say nothing is saying something. You must denounce things you are against or one might believe that you support things you really do not.